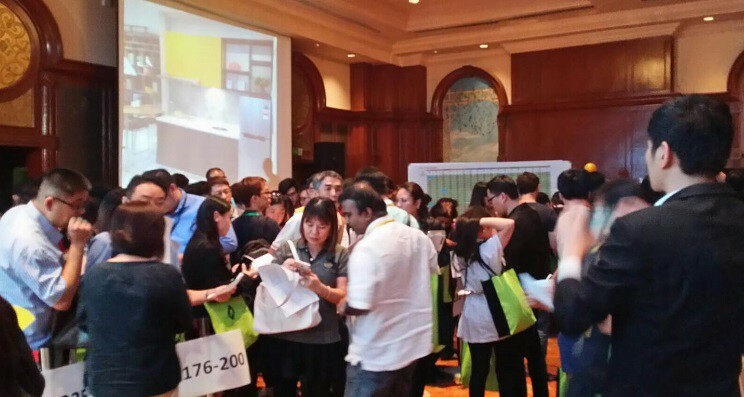 Several thousands were seen at a property event despite the experts' consensus of a slowing property market. 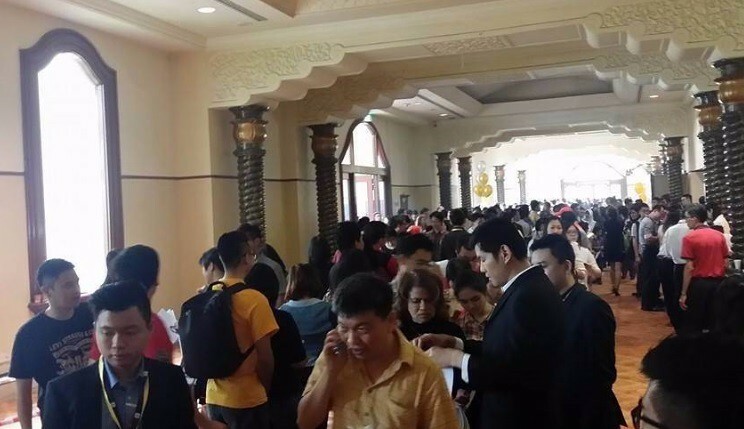 On Saturday, a "full-house" number of attendees turned up at the Googolplex Properties National Convention 2015 held at the Palace of Golden Horses Hotel in Seri Kembangan. Hosted by real estate marketing firm Googolplex Properties, the event was highly anticipated as property developer, Andaman Group, had decided to preview its latest development in an unconventional way, which is exclusively held at the realtor's annual convention. 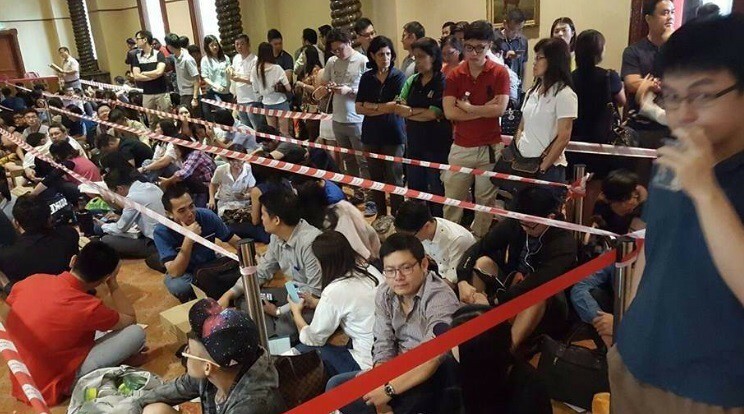 The event, which included a time slot for selection of units and several speeches by guest speakers, including map king Mr Ho Chin Soon, began at 9am and ended at 8pm. 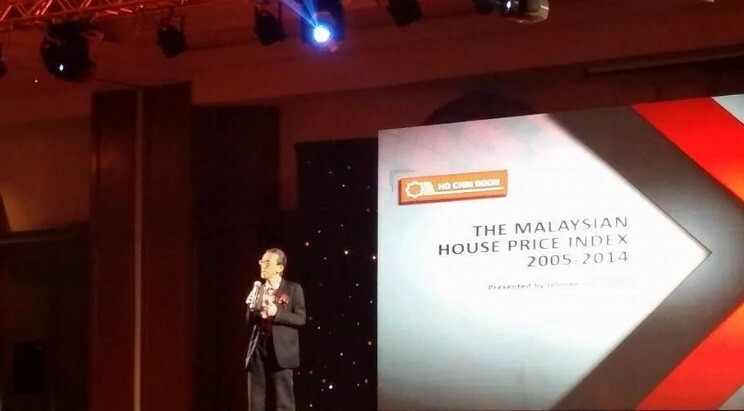 A lucky draw and awards presentation for the realtor's top marketeers were also held. Guests were treated to stage performances and a 5-star lunch buffet as well as dinner. Property developer Andaman Group has partnered EcoFirst Consolidated Berhad, which recently made news for its purchase of additional 25 acres of land in Ampang. These lands are adjacent to 62-acres of lands that it already owned. EcoFirst acquired the land from Tan & Tan Developments Berhad, a member company of the IGB Group. To be known as Arc Central, the phase one of this freehold mixed development - Liberty - sits on a 6-acre commercial land along the Middle Ring Road 2 (MRR2), with ingress and engress built to the site, and will be part of the masterplanned and combined 88-acre Ampang Heights development. This yet-to-launched new project is located in Ampang, Selangor and is dubbed to be affordable and luxury in concept with full condominium facilities above its carpark podium. It was said to be only 10 minutes drive from the development to Kuala Lumpur city centre via the Ampang–Kuala Lumpur Elevated Highway (AKLEH). It is also 5 minutes drive south to Flamingo Hotel in the vicinity of Jalan Ampang. Designed by Malaysia's top firm, Veritas Architects, the Liberty development comprised of three blocks of studio office home office (SOHO) with each suite measuring 450 square feet. Each liveable suite is allocated one carpark bay at the podium levels. There will be a total of 1,631 suites within the three blocks, and 19 units of retail shop offices at the ground level which will be leased-only by the developer. The highlights of its facilities are a 50-metre Olympic-length swimming pool, multi-million ringgit greenscapes and waterscapes, a 5,000 sq ft gymnasium, jogging track, squash court and tennis court are among over 25 facilities provided. All units come fully-furnished, with a move-in condition upon delivery 42 months later, including a proper glass sliding door and wall partition for bedroom and dressing up the walls with a choice of four types of Korean vinyl wallpaper. The developer is providing additional rebates and a low booking fee policy with a net starting price of RM299,000 onwards. The following pictures are courtesy of Googolplex Properties. 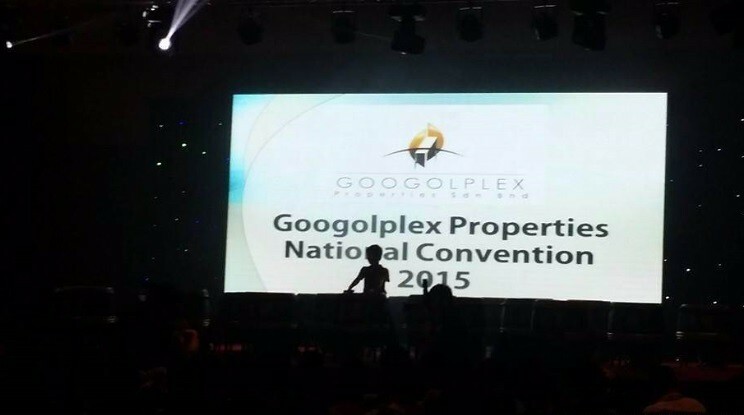 Inside the hall: Googolplex Properties National Convention 2015. Mr Ho Chin Soon take to the stage as one of the guest speaker of the day. 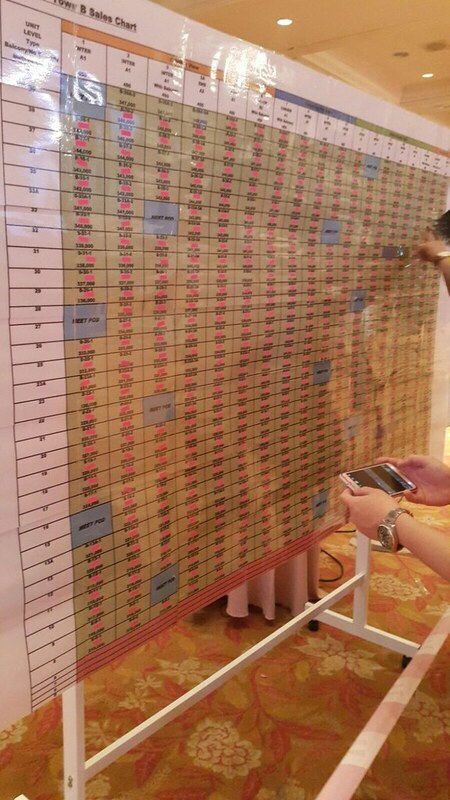 Sales chart of Tower B. 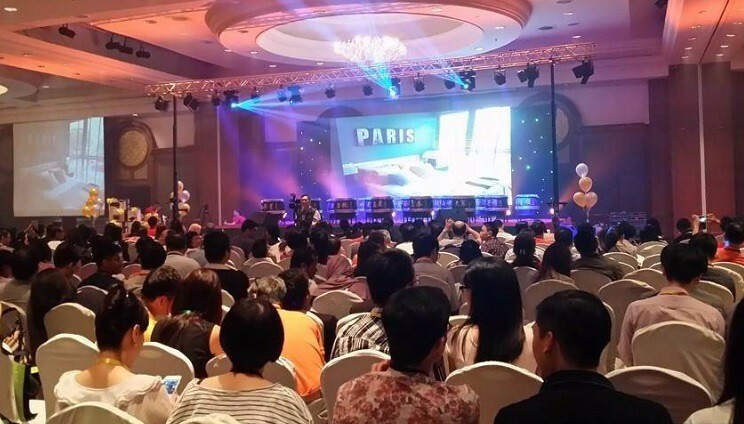 A large crowd of people turned up at Googolplex Properties National Convention 2015 for the purchase of Liberty at Arc Central, Ampang Heights. 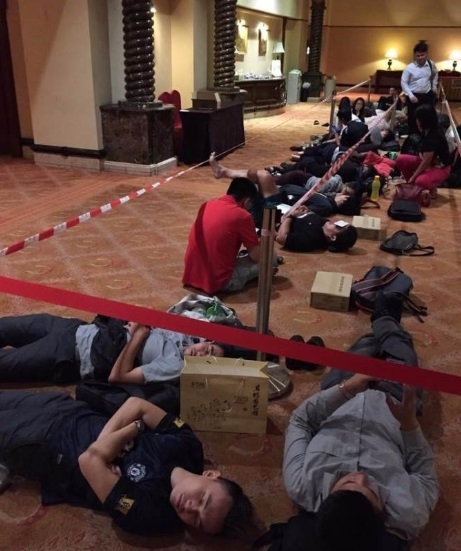 People started coming to the venue at the Palace of Golden Horses Hotel as early as 5am on Saturday.